Wendy L. Price, associate dean of the College at Washington and Lee University since 2010, has accepted a new position, as the associate vice president for academic services at the Maryland Institute College of Art (MICA), in Baltimore. She begins her new job on July 17. In her post at W&L, Price administered a large portfolio, including College buildings and classrooms; operating, discretionary and capital budgets and accounts; and oversight of non-faculty College staff and the foreign-language teaching assistants. She handled undergraduate disability accommodations and collaborated with other staff members to address student health. “It has been my privilege to work for five years side-by-side with Wendy,” said Suzanne Keen, dean of the College and the Thomas Broadus Professor of English. “I have relied on her every day to manage the College’s part in major renovation projects, in capital and operating budget processes, in our work across campus with different divisions, in assisting College staff, and in supporting students who require accommodations. At MICA, Price’s extensive duties will include a wide range of academic services, including the capital budget and facilities planning. She also will oversee exhibitions, the fabrication studios, international education and the technical labs. MICA, founded in 1826, has about 1,800 undergraduate students and 300 graduate students and offers undergraduate, graduate and continuing-study courses in fine arts, design, electronic media, art education, liberal arts and professional studies. It bestows the B.F.A., M.A., M.A.T. and M.F.A. degrees. Price joined W&L in 2010 after serving as a team leader in historic preservation at Historic New England. A graduate of Southern Methodist University, where she earned a B.A. in history, Price also holds a law degree from Duke University and a master’s degree in historic preservation from the University of Georgia. 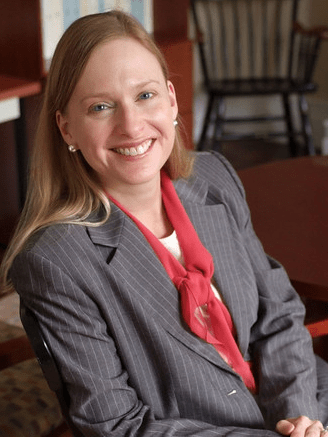 After practicing law for three years, in 1996 she joined the University of Mary Washington as assistant professor of historic preservation; she became the department head in 2002. In 2005, she joined Historic New England, the oldest and largest regional preservation organization in the United States. In 2013, she was chosen by the Council of Independent Colleges and the American Leadership Institute to participate in a yearlong Senior Leadership Academy.